Chiang Mai the land of the misty mountains and colorful tribes is the ideal place to rewind and recharge. This laidback city in Northern Thailand is cooler than the other places in Thailand, it is a paradise for shoppers and heaven for adventurers. This place is famous for its traditional markets , glorious temples, delicious cuisines and excellent outdoor adventures. This temple, often referred to as Doi Suthep, actually the name of the mountain where it is located should not be missed if you are in Chiang Mai. According to legend, the temple was built to hold a piece of the bone of Buddha’s shoulder, one of the bones, was mounted on a sacred white elephant and the place where he laid down, is now the site of the temple.If you have time then there are places to hike and swim in the national park that is home to the temple. 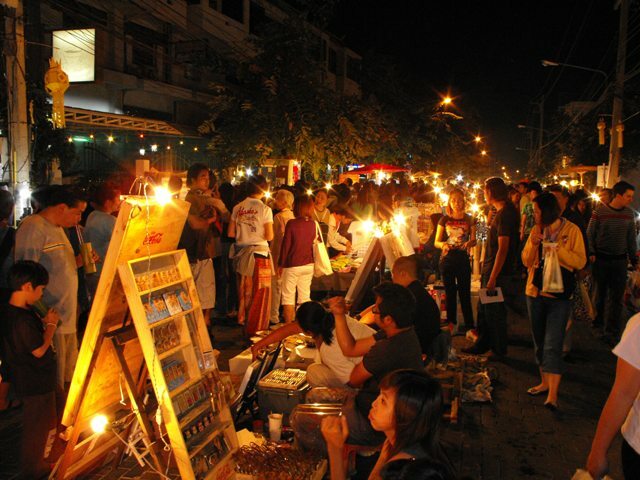 The night markets and the walking street markets of Chiang Mai, is not to be missed, with local products, hill tribe crafts and delicious food, the market has a lot to offer. Some of the things which you can buy are; Thai silk, wooden carvings, local spices, hand carved soaps and candles , besides this, you can pick t-shirts and other locally made stuff. There is a huge variety of food to choose from, so making a choice might be difficult but do not miss out the mango sticky rice, grilled meats and the local ice creams. You can also enjoy the various music and dance shows while eating food. Chiang Mai is the most popular if you’re interested in a cooking course in Thailand. The full day class takes you to the organic farms in the Chiang Mai countryside and the local market, to learn about Thai local ingredients. They teach you how to prepare simple yet delicious Thai food .You get the chance to sample the local delicacies and learn about their cooking methods. There are many spas in Chiang Mai, from very expensive to very cheap ones, the most relaxing way to unwind after all the running around is getting a good massage. 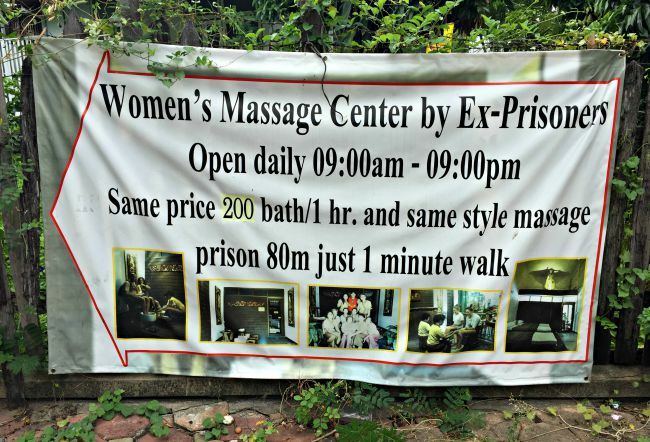 But what is different here is that the people employed by the massage parlours are either blind or a rehabilitated female prisoner. These women are taught real life skills so that they are prepared for the outside world. Spending an afternoon at the Huay Tung Lake, is the most ideal way for relaxing and chilling at the most beautiful place . 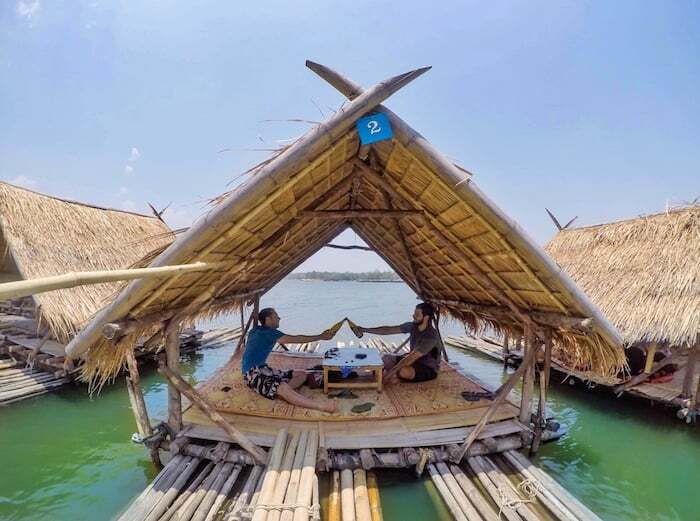 This is the place where the locals gather with friends and family, and set up camp in the bamboo huts built on stilts, near the lakeside. You can order some Thai food and beverages and spend the day just unwinding . A visit to this spiritual land in Thailand will open doors to a whole new world. Get set and go..!